Holiday homes don’t come cheap, in fact, they’re likely to be one of the biggest investment you have. As a holiday home owner it’s vital you keep your property safe or you could be looking at a financial disaster. One major risk is electrical safety. Faulty electrics can result in serious injury, death or fire. If you fail to maintain electrical installations and appliances you could be accountable. According to Electrical Safety First, last year in the UK 54.4% of fires in the home where caused by electricity. Tumble dryers and plastic-backed fridge-freezers are the primary cause. ITV reported that since 2004 over 750 dryers have caught fire and plastic-backed fridge-freezers were linked to 214 fires. Holiday properties are subjected to wear and tear as guests mishandle appliances with lesser care than if it was their own property. It’s essential that you take reasonable steps to check the electrics, inform guests how to safely use appliances and act before appliances become a danger to your home and guests. 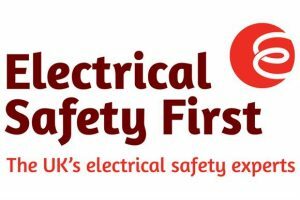 We’ve teamed up with Electrical Safety First, the leading UK charity that aims to educate people on the importance of electrical safety and asked them what every holiday cottage owner needs to know about electrical safety. By following some simple steps, you can help keep you, your property and guests safe. Q1. What are the main risks that homes face when it comes to electrical appliances? In 2016-17, well over half of all accidental domestic fires in England were caused by electricity, with 17,743 incidents and 1689 fatalities and casualties recorded (almost four a day). Nearly three quarters of these (12,757, 71%) were caused by electrical appliances. When you look at fires caused by electrical appliances, just over half are caused by misuse (6,621, 51%) and a further 2,498 (19%) by faults. Q2. How often should electrical appliances be checked? At the very least electrical appliances should be inspected and tested at the same time as having the fixed electrical installation checked – so at least every five years for a formal test and six months or annually for a visual check. Our Best Practice Guide, Number 6 (download is on the right side) portable and stationary appliance testing in private rented accommodation offers more advice. Q3. What appliances are a particular threat? Domestic electrical white goods, such as dishwashers, tumble dryers, and fridge freezers are one of the leading causes of electrical fires in England. Last year, 1,873 fires were caused by white goods, the equivalent of over five fires per day. Our microsite, www.whitegoodsafety.com, offers simple advice to help you keep the white goods in your home safe. Q4. What appliances do homeowners often neglect? As we have seen, white goods are one of the leading causes of electrical fires. But, if not used carefully, any electrical product can put you at risk. Be careful to avoid charging phones and other devices under pillows. Always switch hair straighteners and electrical beauty products off straight away after use and store them in a safe place. And make sure that you have plenty of sockets in your rental properties so that visitors do not need to use adaptors to plug in their appliances and gadgets. Q5. What are the main signs of a damaged or broken appliance? There are some obvious things to look out for. If a machine starts to make a strange noise, is running hotter than usual or you can see smoke coming from it, stop using it, unplug it and contact the manufacturer or a qualified repair technician. You should also regularly check the plug and socket for damage, burn marks, sounds of ‘arcing’ (buzzing or crackling). Fuses blowing, circuit-breakers tripping are also a sign of faulty appliances. Q6. How can you check whether a product has been recalled? If you are concerned that a product at your property has been recalled, you can visit the Electrical Safety First website and use our product recall checker. It lists all electrical recalls dating back to 2007. You can search by product category, brand name or year (or enter your own search terms). If you are concerned about a product that doesn’t appear on the list, you should stop using it and contact the manufacturer. We also recommend that you register any appliance that you provide in your property – so that if there is a problem with the product, the manufacturer will be able to contact you. The easiest way to register your product is to go online to the Register My Appliance website, which has links to all of the major manufacturers. It should take just a couple of minutes. Q7. What are the risks for holiday rentals that aren’t occupied for long periods of time? All electrical installations and appliances will deteriorate with age due to several factors including wear and tear, damage and even misuse. Homes that are not lived in for long periods of time might also suffer effects of damp and attack from vermin which may go unnoticed for many months. These effects can lead to increased risk of electric shock and fire. Regular visual checks can help identify and reduce these risks. Q8. How can holiday home owners who don’t live near to their property take precautions? If you are not living near to the property, we would advise you to get a registered electrician to check the electrical installation on a five-yearly basis, as well as checking the appliances provided with the rental home once a year. Q9. What warnings or instructions would you suggest homeowners should leave for guests? Make sure that the manufacturer’s instructions are available for all the appliances that you provide in your rental property. Also, ask guests to report any problems to you so that they can be dealt with quickly. Thanks to Martyn at Electrical Safety First. Check out their website for more tips and advice. 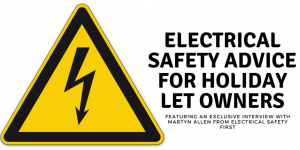 What are the requirements for a holiday let landlord in terms of electrical safety? 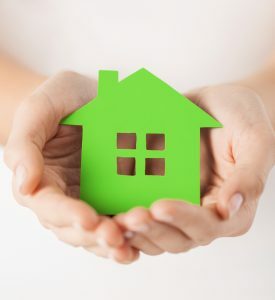 As a holiday home owner, you have a duty of care to ensure that all electrical appliances, circuits and fixed installations within your property are safe. Your duty of care applies to guests, employees and contractors in your property. The best way to demonstrate that you are complying with electrical safety requirements is to take a proactive approach and have a qualified electrician ensure the electrical items are safe by PAT testing them. Portable Appliance Testing (PAT) is an examination of electrical appliances that checks for potential defaults that are not obviously visible. Although PAT testing should be carried out at a minimum of every five years, it’s best practice to have appliances checked every year. When they are checked, add PAT test labels to items stating the date they were tested. This ensures there is a clear record of when testing has been carried out. Note, if you plan to let your property through an agency, they’ll often require proof of PAT testing before advertising your cottage. It is also good practice at each changeover for you, your housekeeper or maintenance team to carry out a visual inspection of each appliance to check for damage and replace or repair as appropriate. Look out for the warning signs of electrical problems such as damaged cables, hot plugs or sockets, burn marks, tripping, flickering lights, burning smells from appliances or wiring. Keep a record to demonstrate you are meeting your duty of care as a holiday let owner. Although specialist holiday letting insurance covers perils such as fire and public liability for injury to third parties, it’s no substitute for adequate safety checks. As part of your insurance contract, you have an obligation to mitigate the risk of claims. Should there be an accident or injury in your holiday rental, having evidence that you have made every effort to keep your guests safe will help with the claims process? Faulty or misused electrical equipment is one of the biggest causes of accidental house fires in the country. Here are some top tips for improving electrical safety in your holiday property. Get electrics and appliances serviced annually by a qualified NICEIC registered electrician. Include a ‘quick start’ guide on how to use appliances safely in your welcome book. Working fire alarms are essential! Install a Residual Current Device (RCD) which trips the electrical circuit if there is a fault. If appliances emit strange noise or fail to work properly unplug them, contact the manufacturer and have an electrician to look at it. Turn appliances off at night and when they’re out of the house e.g. washer/dryer, chargers & hair straighteners. Don’t overload washing machines, tumble dryers or dishwashers. Don’t overload sockets with too many appliances. Especially for appliances with a high electrical current rating (Kettles, irons & heaters etc.). Keep storage heaters clear and instruct guests not to use them to dry clothes. Check leads and flexible cables on appliances aren’t damaged or frayed. Check sockets and switches regularly for signs of damage such as cracking or burn marks. Remove any build-up of fluff from your tumble dryer filter. Buy new appliances form a trusted retailer with a warranty & follow the user instructions provided. Always register your electrical appliances so manufacturers can contact you if there’s a problem with your electrical appliance. According to Electrical Safety First, the success rate of a product recall in the UK is a measly 10-20%. This is primarily due to manufactures not being able to contact you directly. Clean behind the fridge and freezer to prevent dust from building up. Also, ensure there’s enough room for air to circulate. Holiday home owners can’t afford to be complacent where electrical safety is concerned. If you fail to provide a safe environment you’re not only putting your property at risk but also your guests. Having a procedure for checking electrical items helps ensure you are be meeting your duty of care and that guests are safe during their stay. For more information on electrical safety, visit the Health and Safety Executive Guidance. It is particularly important that holiday homes – particularly those featured on sites such as AirBnB and therefore not verified by any external company – are checked over by professionals and certified as being safe for visitors. Often holidaymakers will not ask about the safety credentials of a home and any issues will therefore be ignored. I expect that soon there will be reports of homeowners being prosecuted for allowing guests to pay to say in homes which are not safe.